Contest of design solutions "Creative interior"
Participants: every interested person, students and professionals in the sphere of interior design, registered on the website of the International Association "VATIKAM". Contest start date: June 1, 2016. Work submission end date: July 31, 2016. Voting end date: July 31, 2016. Result announcement date: August 1, 2016. Contest description: we invite designers to post on the website the most unusual projects of interiors. Exactly the surrounding interior best expresses the personality of the house owner. Mixing several styles in one project, using the unusual accessories and decor allows to create an interior for all tastes. With the advent of new materials and development of technologies it is possible to implement even the most unreal and fantastic projects. Waiting for your new works, distinguished by its unique and innovative solutions! No matter which object you chose for your creativity: a residential building, a typical apartment, office space or restaurant. Most importantly is the presence of the author's creative idea! The contest is held in the nomination "Interior design". The contest can admit one portfolio per participant containing from three to ten works. After the completion of the contest “Creative interior", portfolios, specially created for this contest, continue to participate on the same basis in the main contest of the project VATIKAM "Best works of 2016". Winners of the first three awards are participants with portfolios that get the maximum number of votes for the entire period of the contest. Both the participants and registered visitors can vote for the participants’ works. For the objectivity of voting the rule was set according to which a registered participant or user may vote for the same portfolio only once. Contest prizes: the Winners of the contest will be awarded with special first, second, third degree diplomas from the International Association VATIKAM. Also as prizes winners will have the opportunity to place their portfolios on the main page of the site for a period of 1 month. From August 2 to August 31, 2016 their portfolio will be on the first page of the website VATIKAM. 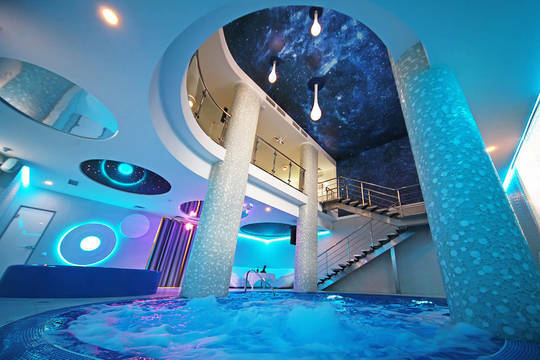 We invite designers to post on the website the most unusual projects of interiors. Exactly the surrounding interior best expresses the personality of the house owner.